Hey everyone, happy easter! I hope you're all eating your bodyweight in chocolate. Eat some extra for me because I have to work all day! 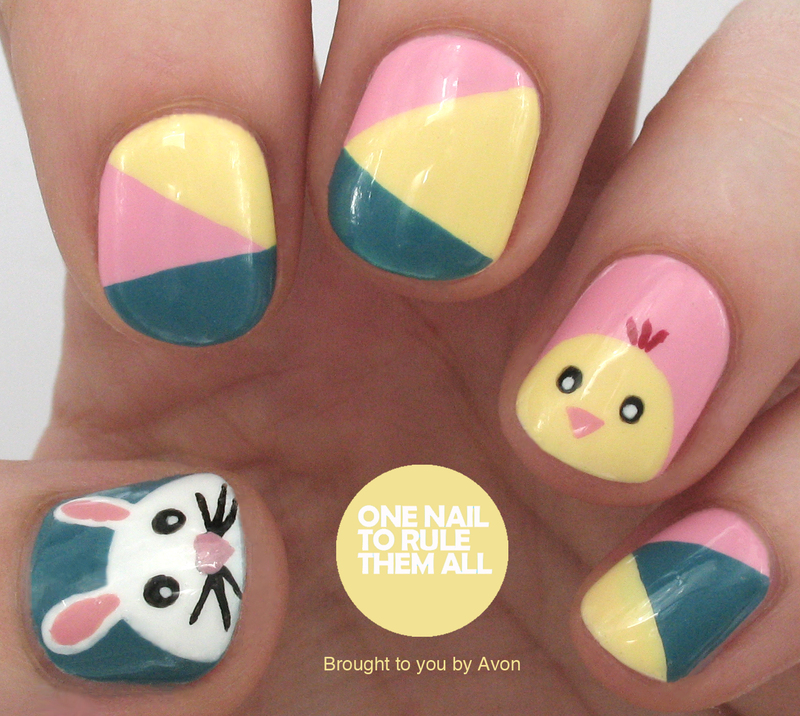 Today I have some more cute easter nails for you, which I created in collaboration with Avon. 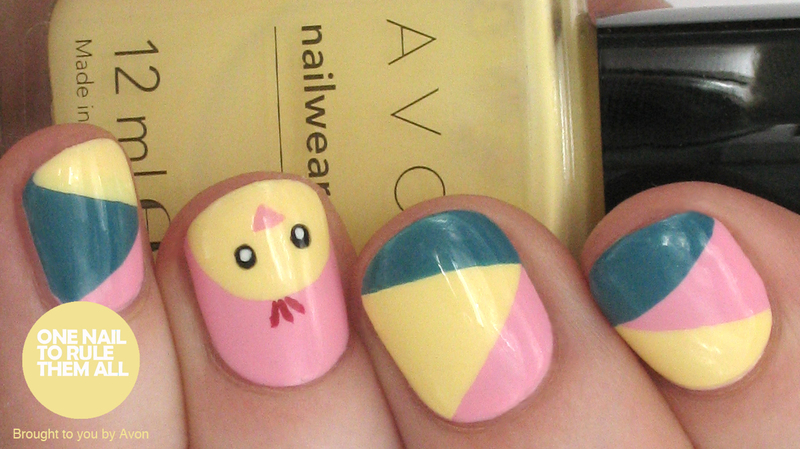 They're pretty typical easter nails with a cute chick and bunny, but I really like how they turned out. For these nails I used Avon - Savage, Avon - Pastel Pink, and Avon - Lemon Sugar for the stripes, which I did just using the brushes from the bottles. Then I used Avon - Pastel Pink, Avon - Lemon Sugar, Avon - Black, Avon - White and Avon - Sahara Sunset for the chick. For the bunny I used Avon - Savage, Avon - White, Avon - Black and Avon - Pastel Pink. That's a lot of colours I know but if you want any of them you can find them here. This is an adorable manicure!! I have Lemon Sugar and it's really perfect for spring time. Is a bit sheer on my nails and requires more coats but it's damn cute! Love the colour combination, really Easter and the little characters are adorable!